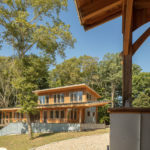 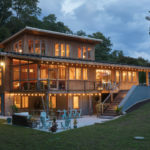 Saltonstall Architects was hired to design a new home that married the owner’s interest in modern architectural form with a post and beam framing strategy. 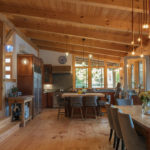 The intent was to create a modern building exterior, and a very warm and comfortable interior style. 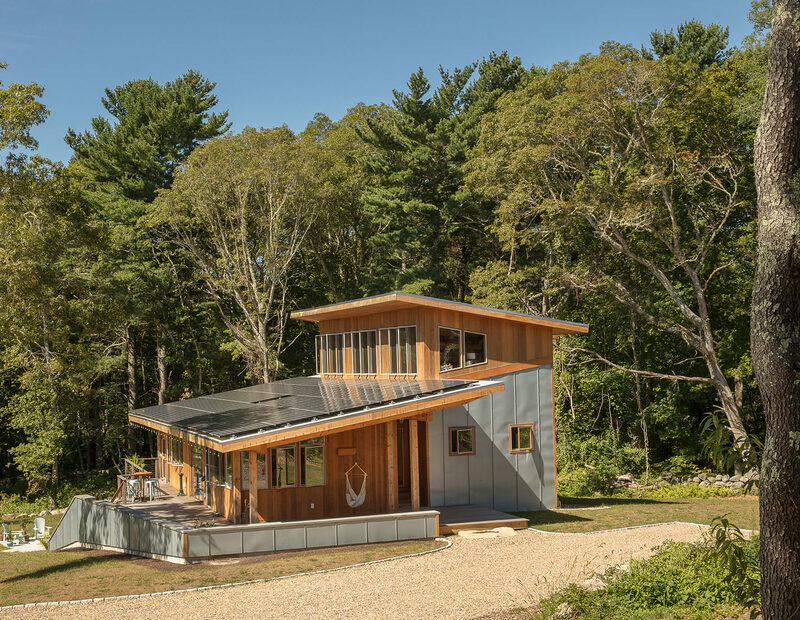 The orientation of house and barn creates a shared pasture for the owner’s horses to graze. 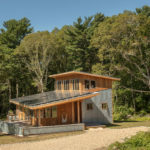 The design and orientation of roof forms was developed to maximize roof area for on-site photovoltaic energy production. 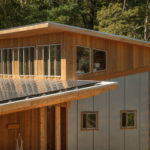 The building was constructed with many efficient systems including an energy efficient envelope, high performance windows, decentralized heat pump heating/cooling, and reclaimed/locally sourced materials. 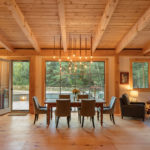 The result is a home that is operating very close to a net-zero standard.